Apple Insider and others are reporting that Google Assistant is now available to iOS users in the UK, France and Germany. Google Assistant for iOS has been available to U.S. iPhone users since May when it was released in conjunction with the Google I/O developer conference. This is an important development for Google Home users in Europe. Google Assistant is the brains behind Google Home. While you could previously download the Google Home app to control your device, many features such as multi-modal text integration, the Assistant app store and app ratings are only available today through Google Assistant. This meant that iPhone users did not have access to the full range of features after purchasing a Google Home. Now they do. Google Assistant is not as robust on iPhone as it is on Android, because it lacks deep OS integration. However, once you open the Google Assistant app, it provides a strong conversational search capability and access to browse the current list of voice apps for use on Google Home and Assistant. Google Home is making a big push in Europe. 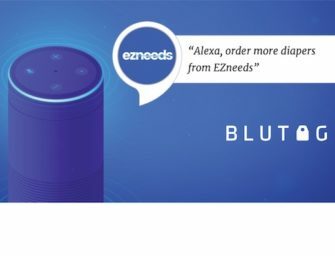 Enabling iPhone users access to Google Assistant features is critical in the ongoing marketshare battle with Amazon’s Echo.